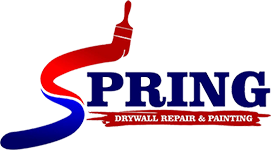 If you need a general contractor you can trust, look to Spring Drywall Repair and Painting in Houston, Texas. Our drywall and painting services are not only detailed and affordable, but our staff is full of honest, reliable individuals who value your time. See what our past customers have been saying. Spring Drywall Repair and Painting is home to general contractors in the Houston area. For many years, we have been providing stunning drywall work and painting services to the Harris County area. Today, we continue to deliver the highest quality results to customers on every project, on time and within budget. Our dedication to specialty services is just one reason for our growth and success. Finding a reliable contractor to handle general repairs and improvements can be difficult, but finding one that is capable of handling practically any project, including unusual or difficult tasks, is easy thanks to our team.